how is it already december 1? i am kind of freaking out about how quickly time seems to fly these days. even though i can't believe it's december already, i am really excited. i love christmas! it's my most favorite time of the year. even though i love christmas, i sometimes find myself getting a little too wrapped up in the commercial parts. i love the lights and the music and the presents and the treats. all of that stuff is great, but i also want to make sure to take time to remember the reason we have christmas. i want to focus more on Christ this holiday season. i love this mormon message. it's the perfect reminder and a great start to december. 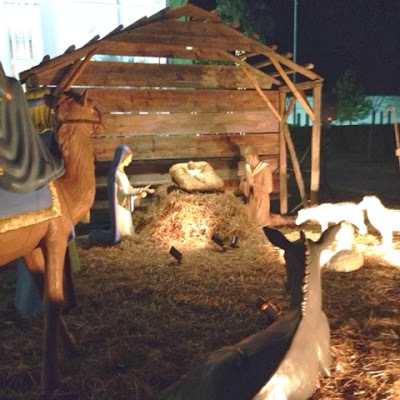 i love the challenge at the end of taking a tender, caring heart on our journey to bethlehem. i hope amid the hustle and bustle of the holiday season that i can take the time to enjoy the true spirit of christmas. i plan to spend some time today looking for scriptures to study this month or religious advent activities or something to keep my focus where i want it to be. i'm definitely taking suggestions. lauren wrote a post on spending less to give more. i'm collecting some great ideas and hope to make this more of a religious holiday this year.